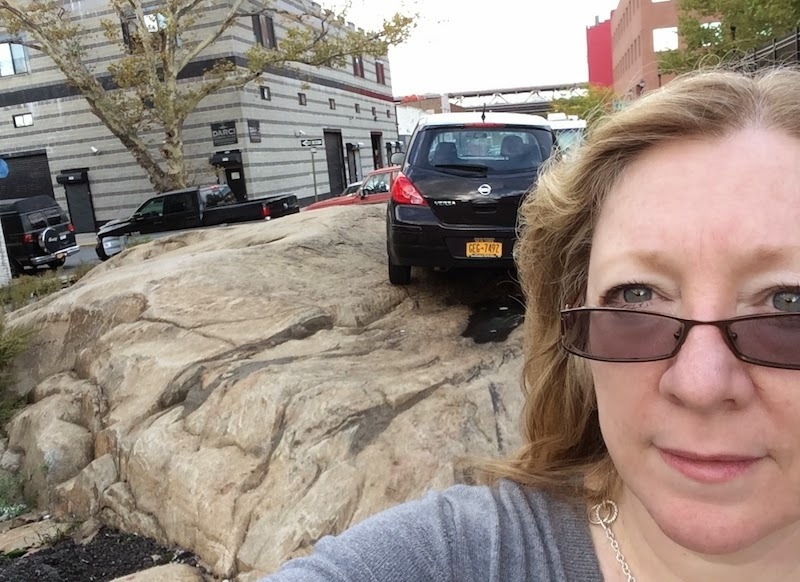 I finally went to see the "glacial erratic" in Long Island City today. That's the big rock that the car is parked on behind me. I read about this in the Wiki entry for LIC. ...rock(s) that differs from the size and type of rock native to the area in which it rests. "Erratics" take their name from the Latin word errare, and are carried by glacial ice, often over distances of hundreds of kilometres. Erratics can range in size from pebbles to large boulders such as Big Rock (15,000 tonnes or 17,000 short tons) in Alberta. They are apparently dumped in position by retreating glaciers from the Ice Age. 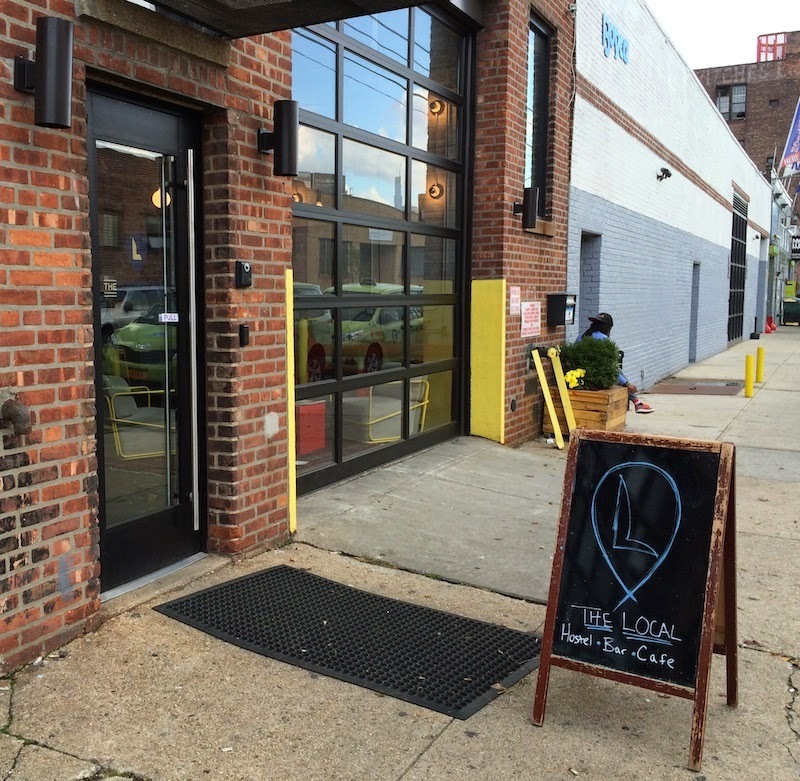 The rock is in an industrial section of LIC, which is why I was surprised to find this coffee house right around the corner from the big rock - almost as improbable as the glacial erratic. I couldn't hang out though, I had to get back to work for a meeting. But I'll definitely return one of these days. 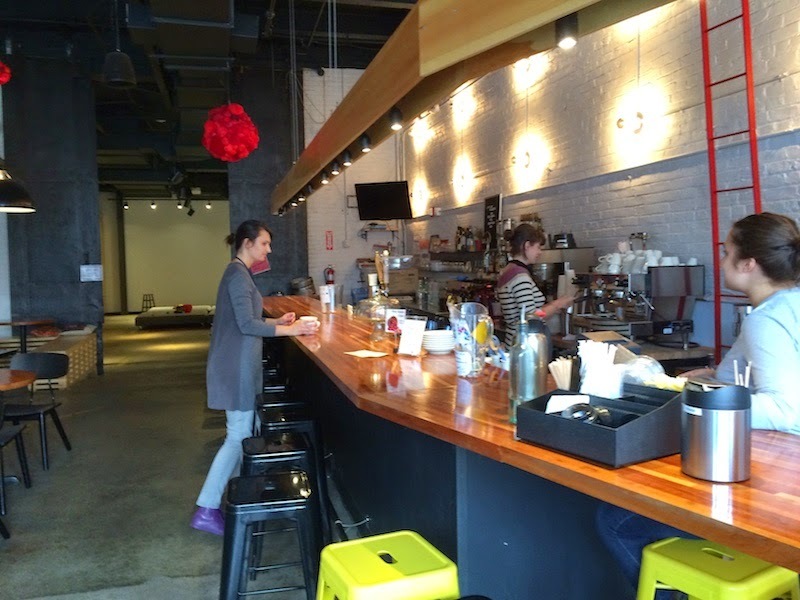 The woman who served me a cappuccino had no idea about the erratic. Glad I could enlighten her.